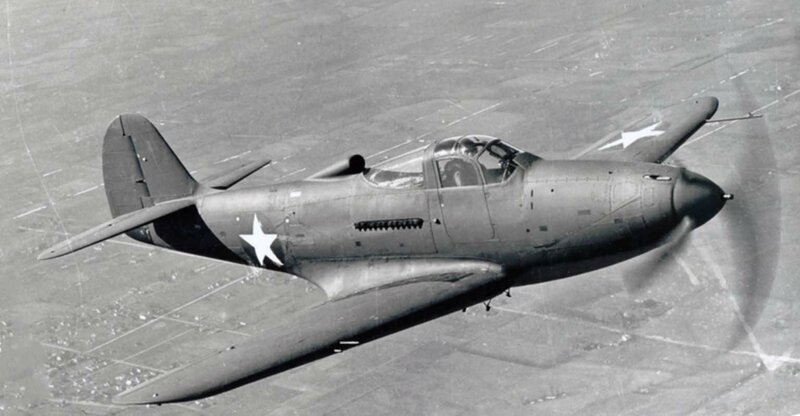 American fighter Bell P-39 Airacobra from the US Air Force in flight. Bell P-39 Airacobra – American fighter of the Second World War, distinguished by an unusual for its time design (the engine was located behind the cockpit and was connected to the propeller by a long shaft). Half of all the produced aircraft (more than 4,500 units) were delivered to the USSR by lend-lease.